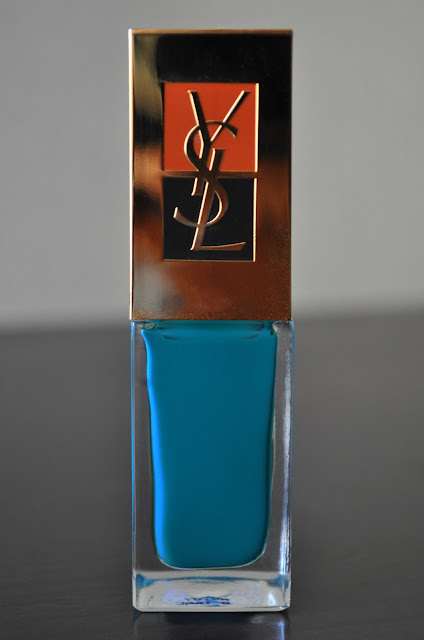 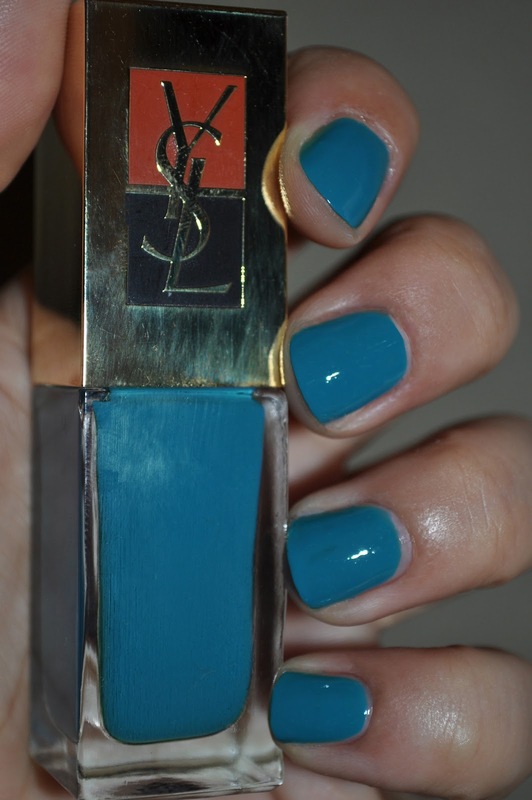 Today's mani is last year's limited edition YSL summer polish, Utopian Turquoise. 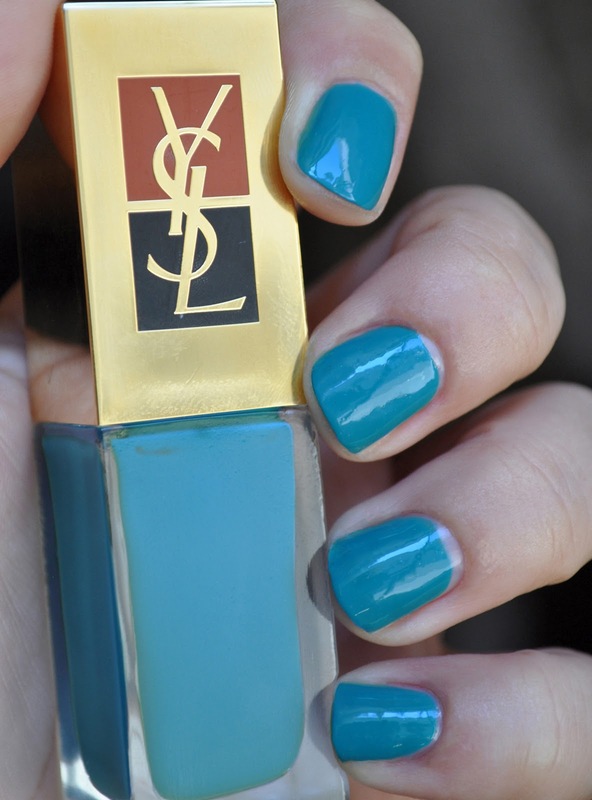 Utopian Turquoise is a deep turquoise creme. Although Utopian Turquoise is no longer available at counters, I'm sure you can find it online. What are some of your favorite turquoise nail polishes?